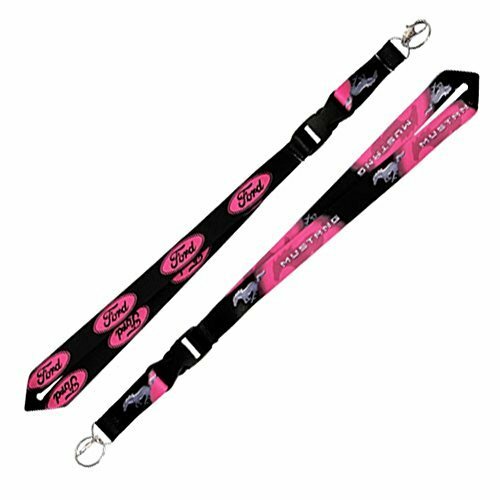 Ford Mustang Pink Lanyard screen printed on both sides with a Pony and Mustang lettering on one side and the Ford Oval on the other. Black quick-release snap closure with a key ring and finger clasp attached at one end. Licensed by Ford. Approximate Dimensions: 21″ in Length. Pony & Mustang Lettering on One Side & the Ford Oval on the Other.